Please send money to "info@bc4he.org" by PayPal and fill in the transaction ID below. Otherwise, your registration won't be complete. Challenge: Color Krishna Stories based coloring page. Coloring pages and coloring materials will be provided. 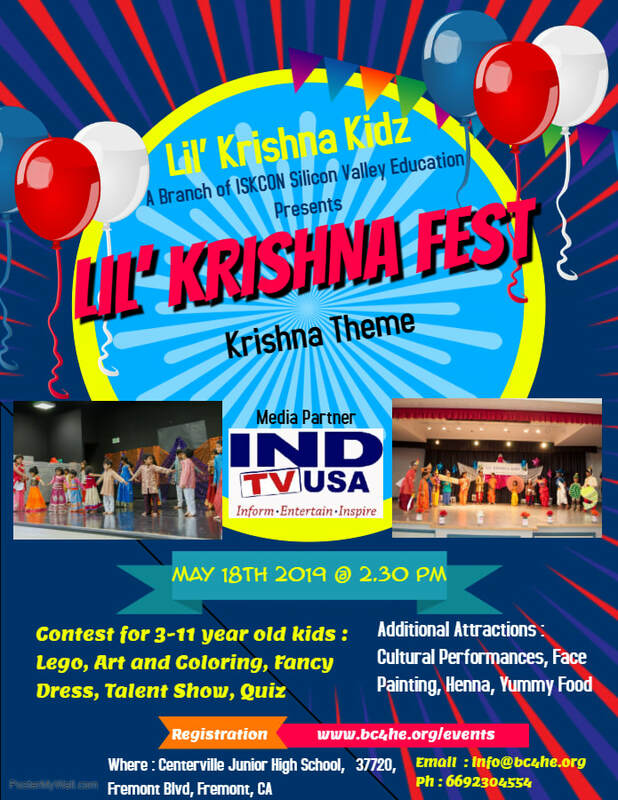 Challenge: Dress as any of the characters from Krishna's Pastimes, come on stage and introduce yourself with your name and name of the character as dressed. Judging will be done based on the chosen costume only. For any additional questions, please contact us at info@bc4he.org or call at 669-230-4554.